Alexander and Mina. . 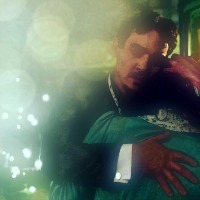 Images in the Dracula NBC club tagged: photo dracula nbc alexander grayson mina. This Dracula NBC icon might contain guppy, peces arco iris, lebistes reticulatus, and pez arco iris.